30 years after a viral outbreak that nearly wiped out the human race, the Continental State of Virgo has had to contend with extreme weather patterns and ever-shrinking personal water rations. In her quest for a cure for the DNA infection, Kora uncovers a sinister plot against the people of her world by a shadowy organization, an alliance that would stop at nothing to destroy those who stand in their way. Against insurmountable odds, our unlikely heroine sets out to foil The Alliance’s plans and on her perilous journey discovers the fluid nature of consciousness and time, and how the choices she makes at key junctures in her life, Nexus Points, fit into the universe’s complex equations that shape the ever-morphing future of her world. After a crushing defeat, The Alliance strikes back at our heroine with new technological threats and overwhelming force. Exiled and infected with a mysterious nanite, Kora must learn to forge unwonted allegiances in a foreign, hostile land where the rule of law does not apply. In her fight for survival, Kora journeys through space and time to uncover secrets of her past that would put to question everything she knows as a scientist about the very nature of human existence. With each new nexus point, Kora faces increasingly more difficult choices, leading to a metamorphoses that would transform her at all levels of her being. Will Kora lose her sense of self or will she rise above her challenges and become the female warrior she’s destined to be? 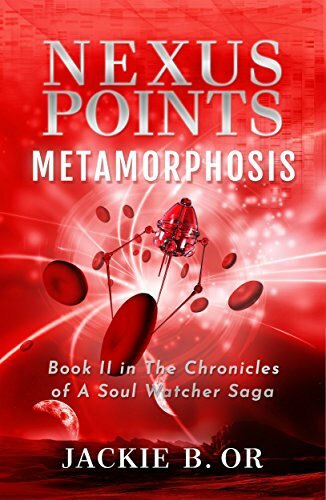 Find out in Nexus Points - Metamorphosis. Sign up to receive bonus material, such as the first few chapters of Jackie’s new books ahead of their release dates, and advance notice of book launches. The five-series saga tells the story of Alina, the Soul Watcher, although for those of you who’ve read the Nexus Points story, you'd know Alina is only a made-up name. Her true identity remains a mystery. 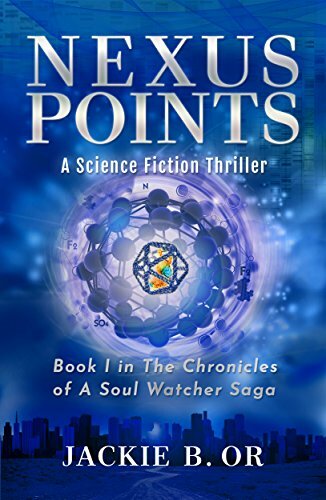 In the Soul Watcher series, we follow Alina through space and time as her sojourn takes us to a not-so-distant galaxy, not unlike ours but with its own constellations, planetary systems, life forms, geo-politics, belief systems and of course, conflicts. We are introduced to species more alien than you can imagine and technologies far beyond our comprehension. Yet, despite the strangeness of it all, the stories themselves are surprisingly human- tales of love and loss, courage and struggle, triumph and despair.